Looks stunning and tastes delicious. Do not be put off by the long list of ingredients! Gatte ki sabzi is a traditional dish from the state of Rajasthan, India. In this curry, gatte/chickpea flour dumplings are boiled and then simmered in a yogurt based tangy curry. This is flavorful & vibrant looking dish, taste well with chapati or steamed rice. I love trying traditional Indian recipes from different states and like sharing on my blog too for my followers friends 😊. This curry is also a good options for vegetarians apart from paneer. 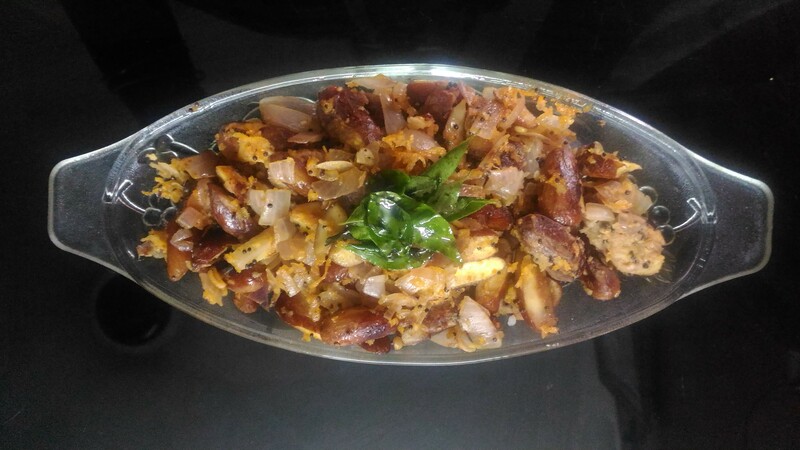 It requires slight planning and time to make this dish but the end results are lip smacking, worth investing time. I assure you that your family members & guests will drool over it 😉. So let’s get started. Pickles. What’s not to love? 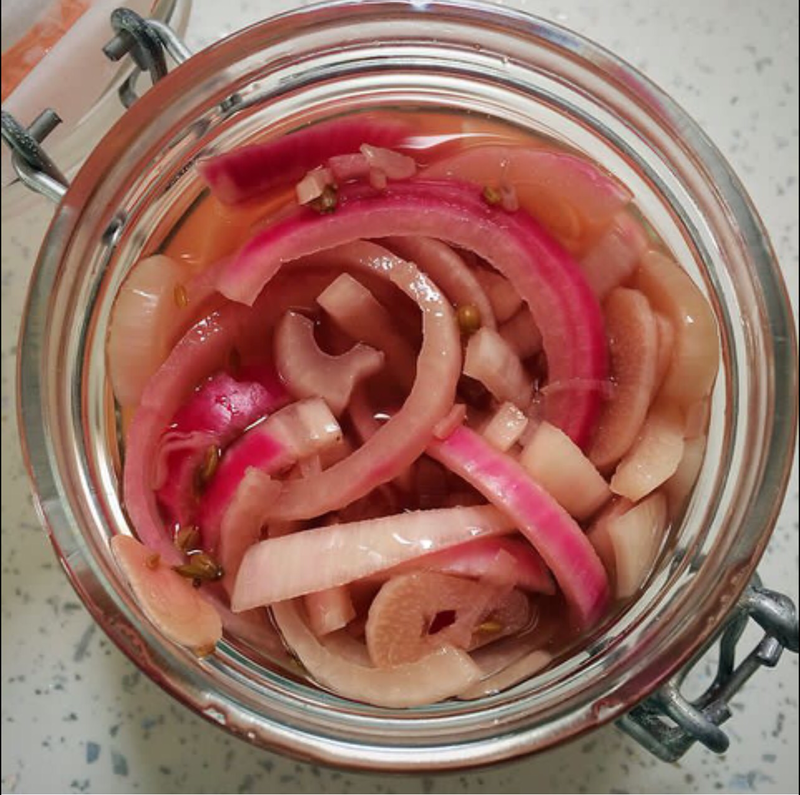 After reading the post about pickled red onions from Frugal Hausfrau recently, I decided it was time for me to get in a pickle! But of course, it would have to be my way. 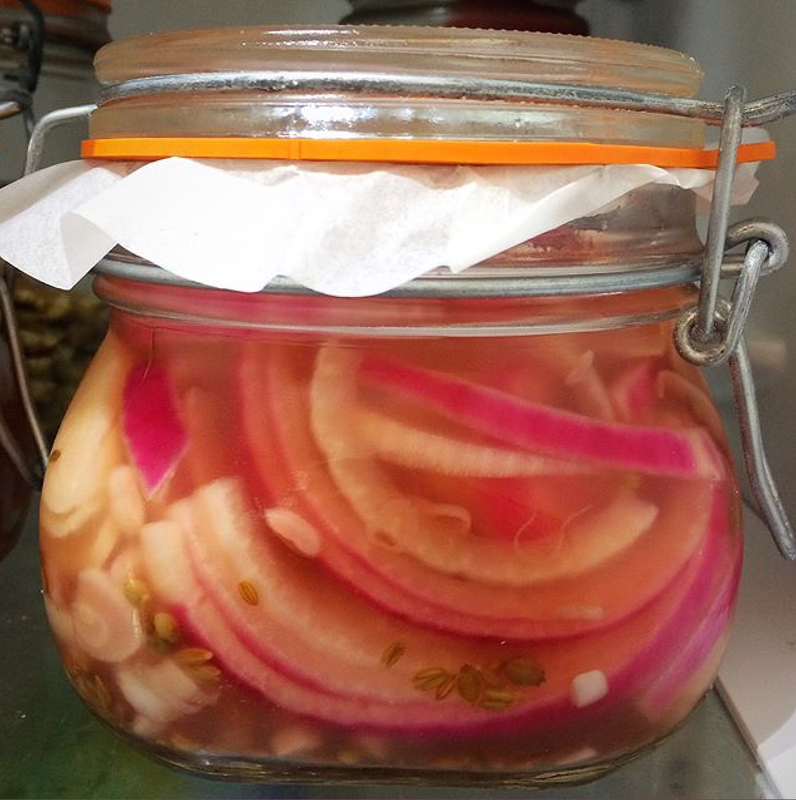 So I filled a jar with sliced red onions, sliced garlic, coriander seeds & cumin seeds, and filled it with a pickling fluid of apple cider vinegar, salt and the tiniest pinch of sugar.. I left them in the fridge for several weeks, and then started to taste and experiment with them. 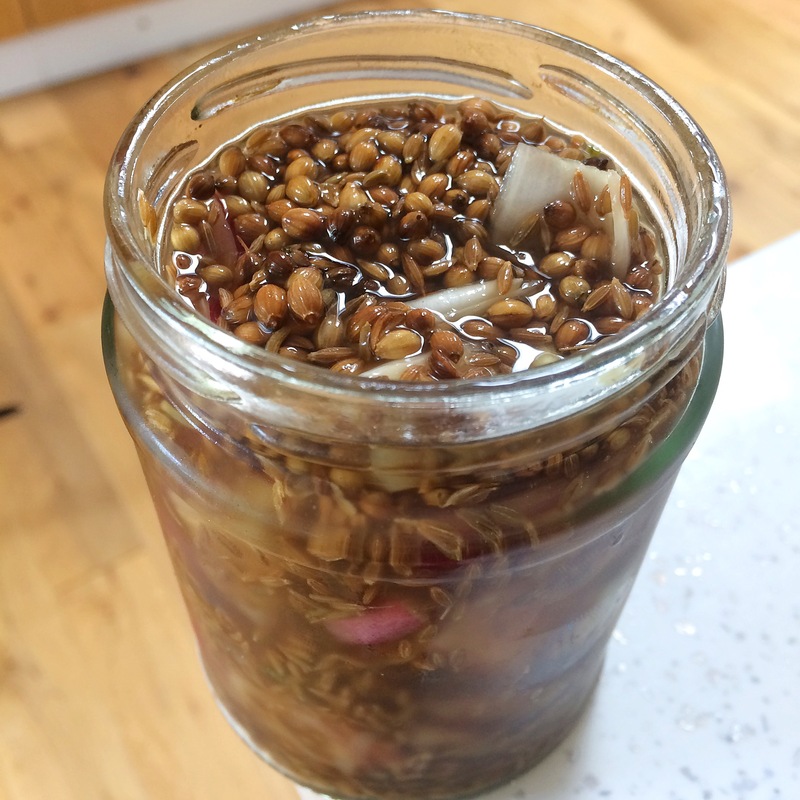 What I liked the most was the pickled spices, so I filled a jar with mostly them too! At home, I make Chicken or Mutton Biryani at least a couple of times in a month. We are a big fan of Hyderabadi Biryani. And what not to like about it? It’s a one pot dish and you don’t really need a lot of side dishes to go with it. My family happily consumes Biryani and also it tastes way better as left over. First remove seed from the fruit.Then from the seedremove the outer white skin from the seed.We can apply oil in our hands.Then cut the seeds I two..we can cook it separately or else can cook while cooking riceIf it is tender 2 or 3 whistles is enough or else few more whistles. Coconut scrapings___1 to 2 TBS. A lot of curry lovers say they don’t even look at the sweets after a curry. But what if it was a work of art? Watermelons are delicious. They can provide visual entertainment in a great many ways as well? Well, let me assure you that it’s the truth with these simple watermelon carvings.